Organ specialization and case load have been a big issue during recent years and for most cancers a direct relation between high volume and a better outcome has been demonstrated by reviewing the recent literature. Concentration in clinics of high-risk procedures with a certain volume (procedures such as esophagectomy, pancreatectomy and hepatic resection) might prevent many postoperative deaths per year. Also, other procedures such as thyroidectomy and colon resections have shown the same tendency to a lesser extent. Reduction of postoperative mortality by 5% is in general as effective as toxic adjuvant treatment and should have high priority in achieving the highest quality in cancer surgery. Not only can a reduction in morbidity and mortality be achieved but also a better functional and even financial outcome is possible. 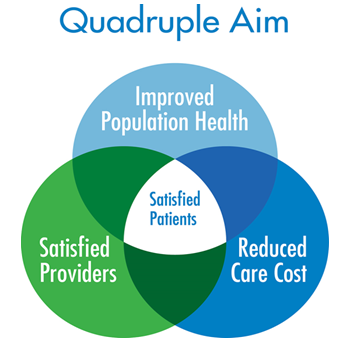 Sometimes too much attention has been focused on numbers per year, since even smaller hospitals with dedicated teams can achieve good results. It is very likely that not only volume but also training and specialization result in a better outcome. The setting of an absolute number of cases is not very productive and diverts attention from organized multidisciplinary mee-tings, appropriate infrastructure and availability of modern techniques. The focus of interest should be directed more towards analyzing and optimizing the whole process of diagnosis and treatment, since this whole process can put the patient at severe risk, especially during the in-patient period. Avoidance of mistakes has received a lot of attention during recent years. It has resulted in interest in patient safety as a concept. 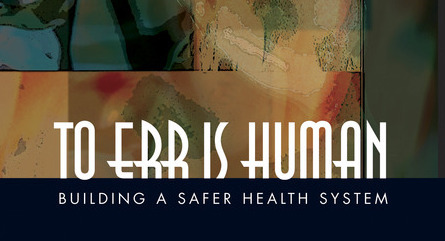 Since the publication of the report To Err is Human issued by the Institute of Medicine the approach to errors has changed. Individuals can make mistakes but a system approach concentrates on the conditions under which individuals work and tries to build defenses to overt or mitigate the effects of mistakes. 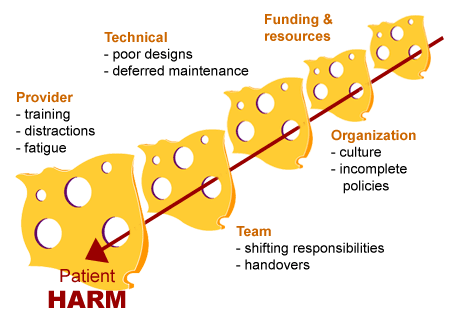 This is very well visualized by the Swiss cheese model. Several layers of defense, each with its own holes, are put around a procedure. Both active failures and latent conditions cause holes in each layer. The usual way of thinking is to close the holes in the last layer of defense; however, redesigning the process and the closing of a hole in a much earlier layer will probably be more effective. Root cause analysis is the way to go back in the process and try to identify weak points in the procedure. A good example is the incorrect position of a colostomy after an abdominoperineal resection. It is easy to blame the resident for not selecting the correct position during surgery or even marking the wrong spot the day before the operation. A better solution would be either proper training of the junior or having the right spot tattooed during the outpatient clinic by a stoma therapist. Marking of the correct part and site of the body has become a safety measure and the patient should be instructed to ask for this procedure for there own safety. It is important to get rid of the ‘blame and shame’ culture and introduce a more open environment in which it is possible to report on near misses and mistakes. The safety climate in a surgical department can be measured in a validated way and is an essential part of a culture in which patient safety can flourish. Reduction of complications in the direct postoperative period after a surgical procedure has many aspects not related to the cancer surgery itself, but to the invasive nature of the intervention. Great attention to every detail during the preoperative work-up and clinical period may result in the reduction of adverse events. This is what is termed ‘the first time at risk’ above. There are also examples of actions in optimizing results that are more cancer specific. For instance the use of techniques stimulating wound healing after an abdominoperineal resection such as an omentoplasty or rectal abdominis flap may prevent a delay in adjuvant systemic treatment for rectal cancer. Careful attention towards wound healing in sarcoma will avoid postponement of the necessary adjuvant radiotherapy. Omitting a computer scan with iodine-containing contrast in the diagnostic work-up for a thyroid cancer makes postoperative radioactive treatment with iodine possible earlier resulting in a possible better outcome. Harvesting a sufficient number of lymph nodes in colon cancer may avoid discussions about the indication for adjuvant chemotherapy. 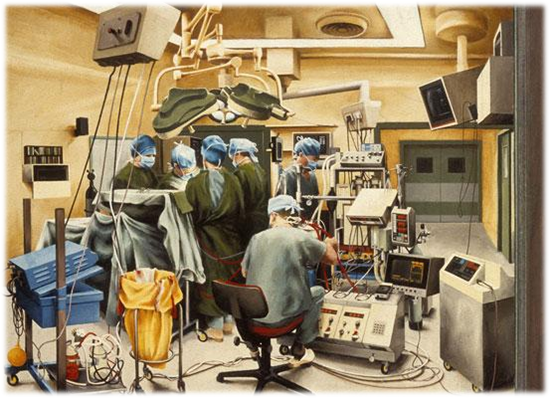 Most of the examples for patient safety in the clinical period are in relation to optimal use of multimodality treatment or to effects of surgery in general. Sometimes there has to be a balanced risk of the acceptance with a more extensive surgical procedure of a higher morbidity to achieve a better long-term cancer result. The reverse is also possible when a good short-term outcome of a local excision in rectal cancer has to be counterbalanced by a higher local recurrence rate. Quality assurance for all the participating disciplines (both diagnostic and therapeutic) is a key element in the set up of clinical prospective randomized trials. 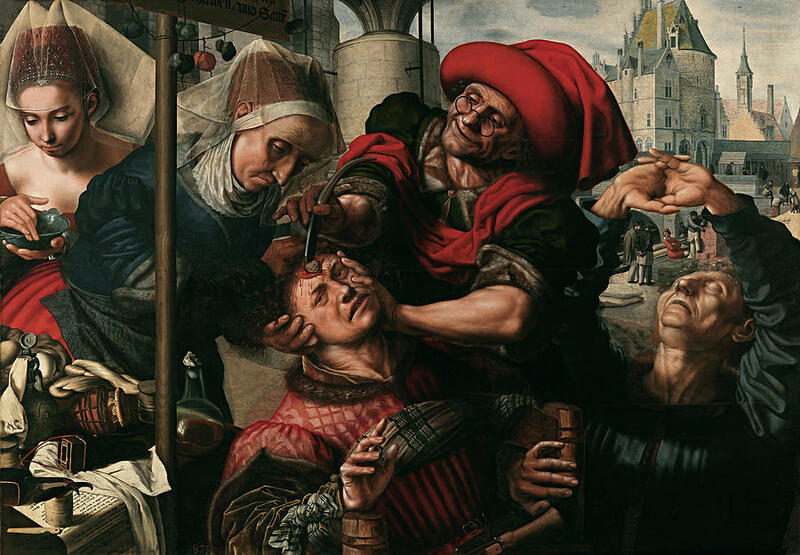 Ethics in Surgery : R.I.S.K. Renewed public attention is being paid to ethics today. There are governmental ethics commissions, research ethics boards, and corporate ethics committees. Some of these institutional entities are little more than window dressing, whereas others are investigative bodies called into being, for example, on suspicion that financial records have been altered or data have been presented in a deceptive manner. However, many of these groups do important work, and the fact that they have been established at all suggests that we are not as certain as we once were, or thought we were, about where the moral boundaries are and how we would know if we overstepped them. In search of insight and guidance, we turn to ethics. In the professions, which are largely self-regulating, and especially in the medical profession, whose primary purpose is to be responsive to people in need, ethics is at the heart of the enterprise. Responsibility to the patient in contemporary clinical ethics entails maximal patient participation, as permitted by the patient’s condition, in decisions regarding the course of care. For the surgeon, this means arriving at an accurate diagnosis of the patient’s complaint, making a treatment recommendation based on the best knowledge available, and then talking with the patient about the merits and drawbacks of the recommended course in light of the patient’s life values. For the patient, maximal participation in decision making means having a conversation with the surgeon about the recommendation, why it seems reasonable and desirable, what the alternatives are, if any, and what the probable risks are of accepting the recommendation or pursuing an alternative course. Resources: On what tangible resources can the patient draw, and how readily available are they? Individual identity and acculturation: What is the context of the patient’s personal circumstances and her degree of integration within her community? Skills: What skills are available to the patient that allow him to adapt to the demands of the condition? Knowledge: What can be discerned from a conversation with the patient about the beliefs and customs prevalent in her community and relevant to illness and health, including attitudes about decision making and other issues that may affect the physician-patient relationship.